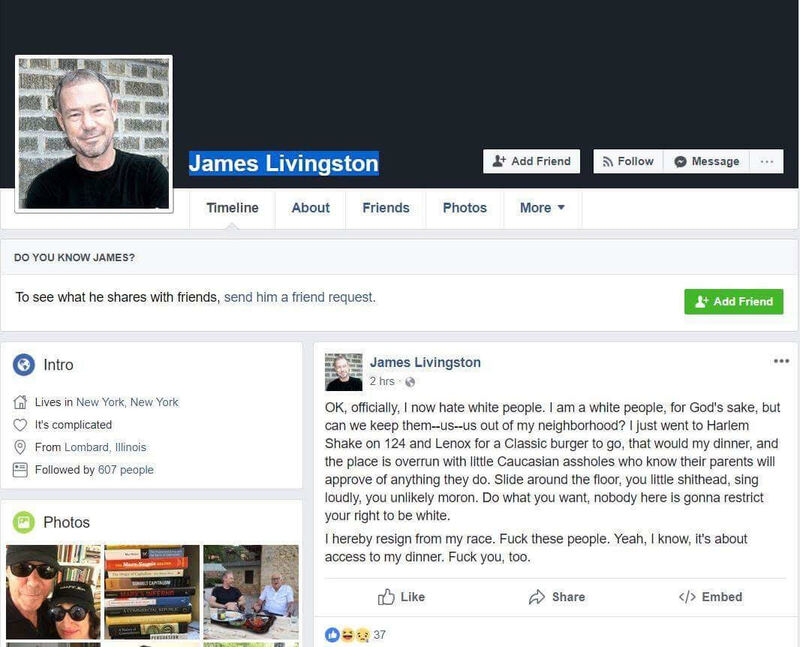 Livingston, who authored “No More Work: Why Full Employment Is A Bad Idea” and “Origins of the Federal Reserve System: Money, Class, and Corporate Capitalism, 1890-1913,” noted Friday morning that Facebook had contacted him about the post and its violation of the site’s hate speech policy. He or the social media company deleted the post. The Daily Caller News Foundation reached out to Livingston for more insight into his worldview, but received no comment in time for press.